The sitcom has garnered positive reviews, including nods from The A.V. Club, which included One Day At A Time on our recent best-of and most-anticipated lists. Under Norman Lear’s gentle tutelage, showrunners Gloria Calderon Kellett and Mike Royce have embraced the earnestness and sitcom-ness of their reboot, packing so much heart and laughter into every episode. Fans have been vocal with their praise on social media, but after Netflix let the season-two premiere come and go without any news on a renewal, concerns grew. Calderon Kellett had been rallying support for her inclusive cast and writers room, a cry that was picked up by Netflix subscribers and media outlets. The National Hispanic Media Coalition even wrote an open letter to Netflix, in which it described One Day At A Time as “the gold standard for equitable and positive representation.” There’s no telling whether the very public outpouring of support swayed Netflix’s mind, or if the streaming platform once more took a cue from Lydia (Rita Moreno) and just decided to be melodramatic—it did renew a handful of other shows today, including the new Queer Eye. But we’re happy we’ll get to see more of the tight-knit Alvarez family, who dealt with everything from bigotry to depression with the usual aplomb this season. 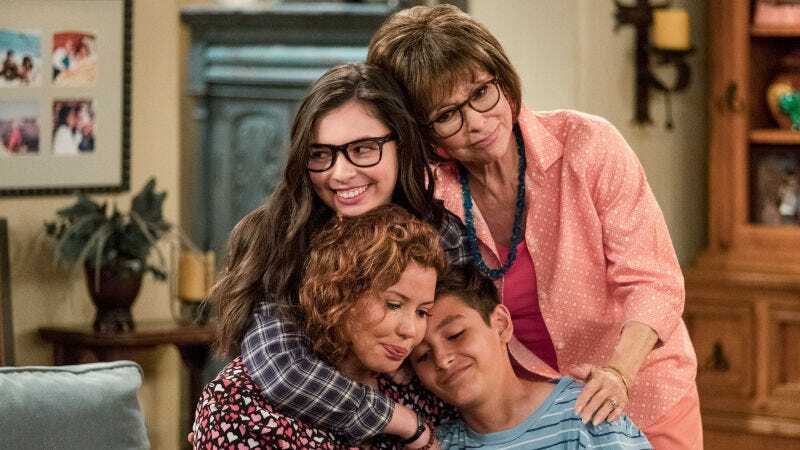 In addition to Moreno, One Day At A Time stars Justina Machado—who gives an Emmy-worthy performance in the finale—Isabella Gomez, Marcel Ruiz, Todd Grinnell, and Stephen Tobolowsky.